President Donald Trump’s administration said Monday it will begin returning more migrants to Mexico after they apply for asylum in the U.S. and ordered Customs and Border Protection officials to speed up the redeployment of agents to help the Border Patrol process a growing surge of migrants arriving at the border. 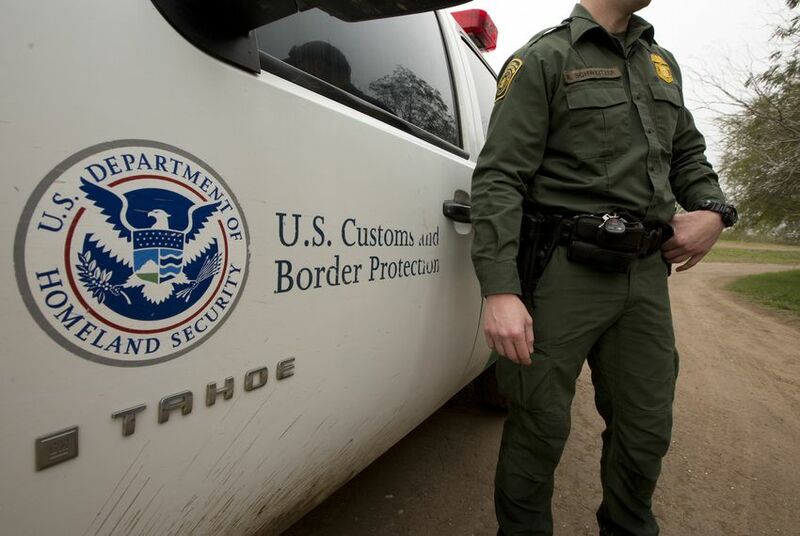 Last week, Customs and Border Protection Commissioner Kevin McAleenan said 750 CBP agents would be pulled from their regular positions at the ports of entry in El Paso, Laredo, Tucson and San Diego to assist Border Patrol. On Monday, Department of Homeland Security Secretary Kirstjen M. Nielsen told CBP to accelerate the reallocation and consider reassigning more officers. “CBP is directed to explore raising that target, is authorized to exceed it, and shall notify the Secretary if reassignments are planned to exceed 2,000 personnel,” the DHS said in a news release. The announcement is in response to a surge of mostly Central American families and unaccompanied minors crossing the border and seeking asylum. From Oct. 1, when the federal government’s current fiscal year began, through February, about 136,150 family units were apprehended on the southwest border — an increase of about 340% from the same period in fiscal year 2018, when about 31,100 families were apprehended, according to CBP statistics. The largest increase occurred in the El Paso sector, where about 36,300 family units were apprehended — a 1,689% increase from the same period last year, when 2,030 were apprehended. Nielsen also ordered CBP officials to expand the Migrant Protection Protocols program that began in El Paso last month. Under the program, asylum seekers are required to wait on the other side of the Rio Grande until they are granted hearings before a U.S. immigration judge. “The crisis at our border is worsening, and DHS will do everything in its power to end it,” Nielsen said in a statement. The move comes after the El Paso sector of the U.S. Border Patrol shuttered a temporary holding facility it erected last month under the Paso Del Norte bridge in downtown El Paso, where hundreds of migrants were held behind razor wire and chain-link fencing and slept in a military-style tent as they waited to be processed. It’s unclear whether the facility will reopen. Nielsen’s directive comes as the president continues to threaten to close the southern border in retaliation for what he says is Mexico’s unwillingness to stem the flow of migrants traveling through that country. He also announced over the weekend he plans to cut off U.S. aid to the Central American countries of El Salvador, Honduras and Guatemala unless they take steps to keep their citizens from migrating to the U.S. The Texas Border Coalition, a group of mayors, county judges and economic development officials from the region, said closing the ports of entry at the border would create an economic crisis. “President Trump’s threat to close the border would be catastrophic and immediate, not just for border communities but also for the nation as a whole,” said TBC Chairman and Laredo Mayor Pete Saenz. “Closing the border would cause an immediate depression in border state communities and, depending on the duration, a recession in the rest of the country."